Bye bye happiness and welcome a table full of sheets.. I already have a tired face even the first day of work not come yet.. I always passed this street almost everyday specially when I need to drive myself. It's the fastest way to get home even it's not making any differences in friday when the traffic getting worse. 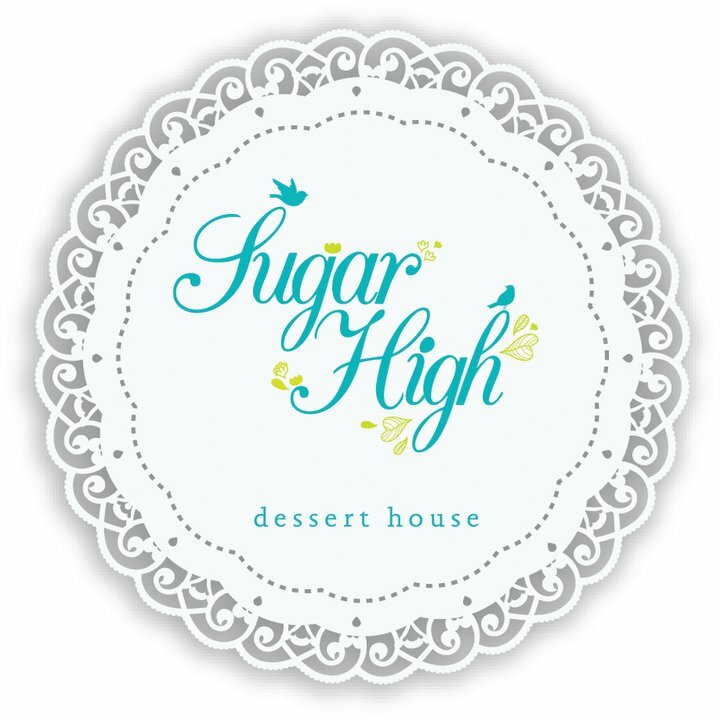 Name of this place is "SUGAR HIGH" why? of course because they sell all of the sweetness stuffs. I called them and asking about working hours and thinking to try this small dessert house. Hmm.. from my experience this place so cute, unique and homey. I love the cap of the lamp that made from the birdcage and paint it into a green color. The menu is on the wall and their specialty is a dessert. I just asking what the fave menu and ordered it, since i came with a friend so we just mixed our order to try more of their dessert. I choose banana pudding for a dessert and green tea latte for a drink. The banana pudding is a special dishes and only comes on weekends, so i feel lucky enough to taste it. I think it's great since i love banana a lot, they mixed it with whipped cream but not to much so it's just perfect. They also offer a main course but i alredy full so i just try the dessert but they said fave main course is baked rice with chicken. About the place, like what i typed before that this place so cute, full of white mirror, a unique analog clock, colorful cushion and a nice waiters,hehe. It feels nice to see my creations, i've been made it for a week during my boring time or my lunch time. It's a bow things, i made it because it's very usefull. It can be for a bow tie, headpiece or a necklace. I can't wait to knit more bows with a different colors, just wish i have tons of colorful yarn. So tired and excited to share this recommendation place. I never do a recommendation for an ads or promotion, they never asked me to promote their place in my blog, i do this just because i love their place or even their food, so let's try it..
Those birdhouse lights! This post made me smile.